This guide will help you install SP Vertical Menu module step by step. 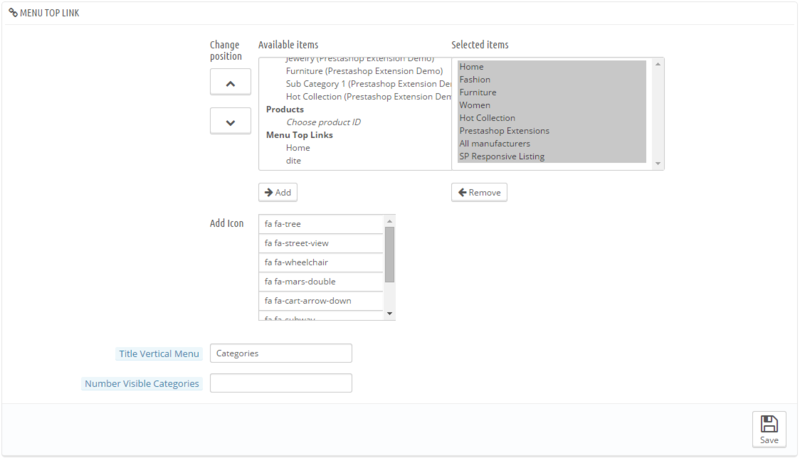 Step 1: Login to your Prestashop admin panel and Go to Back Office >> Modules >> Modules. At the top of the page, click the Add a new module button. Step 2: Click ai?? ?Choose a fileai??? button to select your module .zip file “spverticalmenu.zipai??? that you have downloaded and then click ai?? ?Upload this moduleai??? button. Step 3: The new module will be located in the module list. Search the name of module and Click on the Install button to install the module. Step 4:You will see a notification messages, please click “Proceed with the installation” button to finish the installation process. Step 5: The uploading process will be started. You will see the message ai?? ?the module was successfully downloadedai???. Please find to the module that you have completely installed to configure this module. Change position ai??i?? Allow you to change the selected items . Available items ai??i?? Allow to show the available items. Selected items ai??i?? Display the selected items when you add from the available items. Title Vertical Menu ai??i?? Input title of Vertical Menu. Number Visible Categories ai??i?? 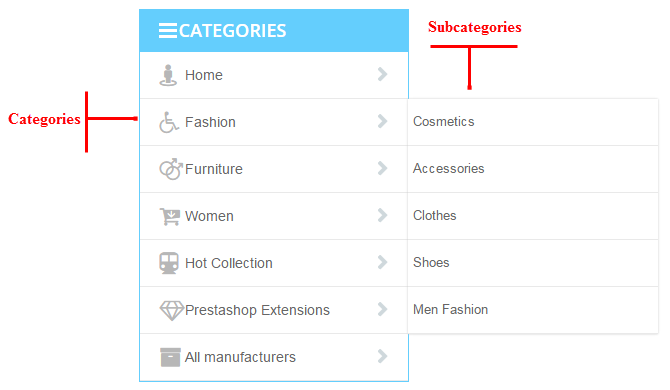 Allow to display the number of visible categories. Label ai??i?? Enter the public title of your new custom link. Link ai??i?? Set the URL of the new link. New window ai??i?? Decide if browsers should open this new link in a new window or not. Click Add after you enter all data.